We have a vision of a School Community where equality, harmony and friendship exist. We accept and welcome that we are a community of diverse individuals. We work to ensure that each individual in our community may fulfil his/her purpose in life. Ardee Community School is a partnership of Trustees, Board of Management, Parents, Students, Staff and our local Community. We value the on-going input of all our partners in the life of our School. We aim to provide the best educational environment where effective teaching and learning can take place. We aim to manage this with fairness and firmness. We recognise the individuality of our Students. We provide a broad curriculum designed to meet their individual needs and to help them to maximise their potential. We help our Students to have a healthy, wholesome and confident self-image and to develop positive relationships through our curriculum and our extra-curricular programme. We endeavour to co-operate with parents and religious leaders of all denominations to encourage the development of religious, moral and spiritual values in each Student. 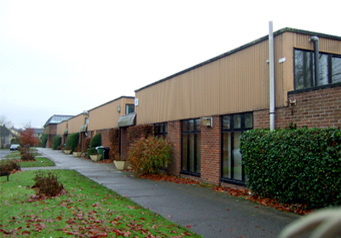 Ardee Community School (also called St. Killian’s) was established in 1974 and seeks to fulfil the secondary educational needs of Ardee and the surrounding areas. Our school was an amalgamation of three schools which had previously existed independently- St. Anne’s Convent of Mercy, De La Salle Brothers’ School and the Vocational School. A full career guidance service is available to all students to enable them to make informed subject choices and career decisions. The School Completion Programme (SCP) is a Department of Education initiative aimed at reducing the number of young people who leave school early. Homework is not anyone's favourite thing. You might be inclined to leave it until the last minute. Not a good idea! Ardee Community School Care Team endeavours to nourish and support the wellbeing of all members of our school community. Ms. Bridget Smith has been appointed co-ordinator since September 2007. Her role is to support and work with parents and increase the link between home, school and community.